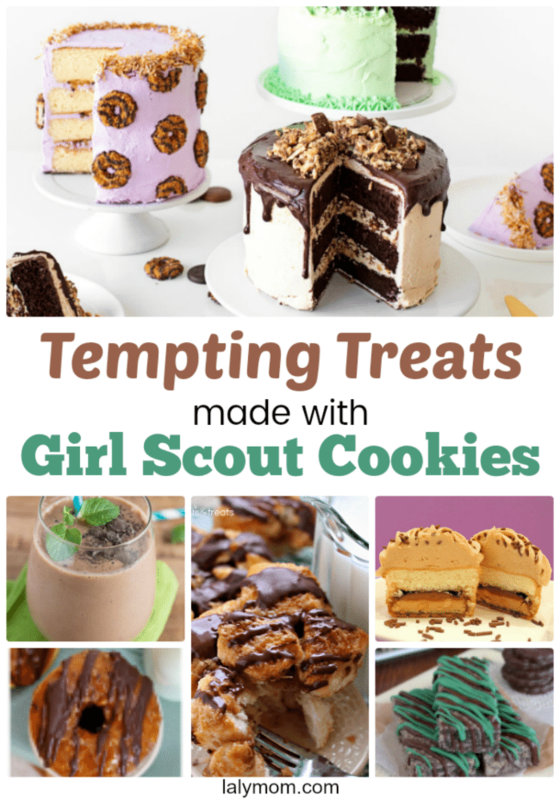 Inside: Get ideas to use up those Girl Scout Cookies with 15+ EPIC Girl Scout Cookie Recipes! 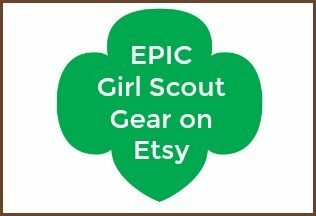 I thought this year it would be super fun to highlight the yummy flavors by using Girl Scout Cookies to make some awesome treats. This would be perfect for Girl Scout Cookie Booths or Girl Scout Cookie House Parties to wow your guests and tempt them into purchasing even more yummies so they can use them in recipes! We actually used some Trefoils to earn a Christmas Cookie fun patch with a completely simple cookie decorating meeting. All I did was set out sheet pans on our island, and set out bottles of store bought cookie icing & sprinkles with the Trefoils. The girls loved decorating the cookies, and they were small and quick so each girl decorated 5. We popped them on a paper plate, and as they were leaving we slid the paper plate into a ziploc bag for each girl to take home. The sheet pans kept the mess to a minimum and we all had a blast. 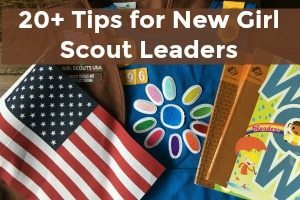 If you want some more advanced ways to use Girl Scout Cookies or recipes inspired by the different varieties, definitely check out the list of recipes below! 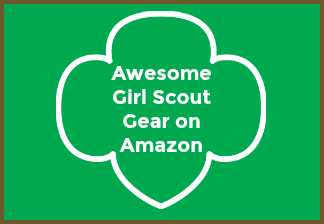 RELATED: 20+ Super Cute Girl Scout Cookie Selling Shirts – Great for booths, social media posts and door-to-door sales! 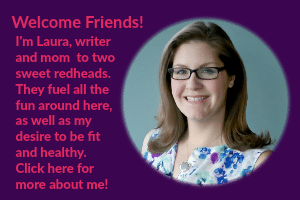 Oh wait- where are my Deal Seekers?! HEADS UP: Don't forget to check out the Flirty Aprons Spring Cleaning Sale for $3, $4 and $5 kitchen gadgets and awesome aprons! Ends March 28th. Pro tip: I just scored some awesome Mother's Day AND Father's Day Gifts! 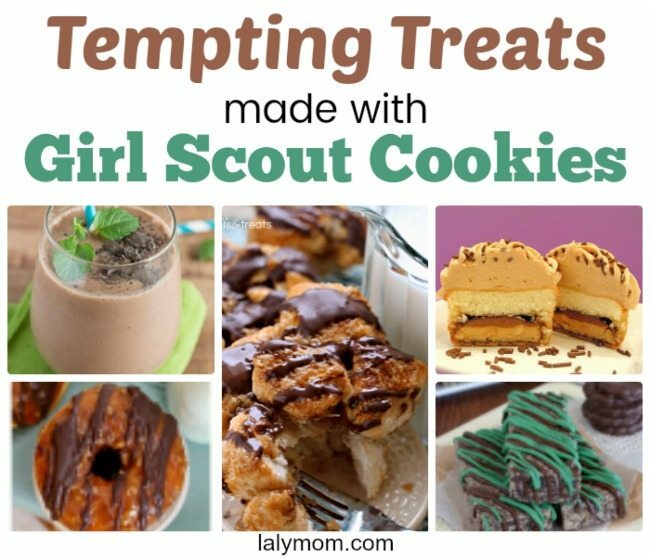 I am in love with these recipes using (or inspired by) Girl Scout Cookies. YUMMY!! 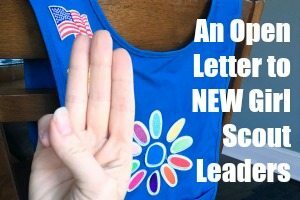 Which of these amazing Girl Scout Cookie Recipes are you going to try? Let's hear it in the comments below!